When does “mobile” mean “stationary”? Noah Webster’s response should be obvious. But it appears the U.S. Supreme Court is preparing to weigh in on that very question. Just last week, the Court granted certiorari in the case of Utility Air Regulatory Group v. Environmental Protection Agency, an amalgam of six separate lawsuits questioning the authority of the EPA to broaden its regulation of greenhouse gases. At issue is the EPA’s decision to begin enforcing regulatory and permitting programs against stationary producers of greenhouse gases, such as coal-fired power plants. The case can be viewed as a direct descendant of 2007’s Massachusetts v. EPA, in which the Court held that the EPA can regulate greenhouse gases, despite the fact that they weren’t actually recognized as “air pollutants” covered under the Clean Air Act. The Court’s ruling, however, was limited to greenhouse gases emitted by mobile sources, namely new automobiles. Although the Court’s grant doesn’t challenge the general characterization of greenhouse gases as “air pollutants,” it poses a single question, the answer to which could effect a dramatic change in agency rulemaking. Is the EPA allowed to “trigger” permitting requirements for stationary sources based solely on its past regulation of mobile sources? In essence, does “mobile” mean “stationary”? The only prudent answer to that question is an emphatic “no.” Allowing the EPA–or any agency, for that matter–to premise broadened jurisdiction in such a manner vests an inordinate amount of power in a body well-nigh immune from the political process. Although it’s heretical to mention in a post-Chevron world, Locke and Montesquieu urged the incompatibility of such extra-legislative lawmaking power with democratic principles. But a more eye-opening reason for answering in the negative is the adverse economic blow such expanded regulation will strike. Expanding regulation to “stationary” sources–an incredibly equivocal characterization–will inevitably result in increased compliance costs. This increase is already being realized by producers and consumers alike; a power company in Mississippi has raised electricity rates by 15% this year to fund a new, fully-compliant plant. By the way, that new plant has already run $1.4 billion over budget. The Court is expected to announce its judgment next summer. If it is interested in relying on democratic principles and catalyzing a languid economy, it will overrule expanded regulation and prevent the EPA from further soiling the Clean Air Act. In Cyber-Threats and the Limits of Bureaucratic Control, Volume 14, Issue 1 of the Minnesota Journal of Law, Science & Technology, Professor Susan Brenner delivered a thoughtful and compelling analysis of the current state of the United States Government’s approach to cybercrime. Professor Brenner advocates for a new threat-control strategy. Specifically, Professor Brenner urges us to abandon the rigid hierarchical structures that currently define our strategy. Professor Brenner instead would support a system that correlates with the lateral networked structures that are found in cyberspace itself. Almost certainly, cybercrime must be at the forefront of our concerns. Hackers across the globe constantly threaten government secrets. In the private sector, corporations’ data also provide lucrative targets for hackers. As Professor Brenner points out, we, as a country, have given the government complete responsibility for addressing the cybercrime threat. The problem however, is that the government has distributed its response among the many agencies that comprise the government. This has created a fragmented response where agencies either needlessly repeat each other’s work or operate in the dark due to a lack of information sharing between the agencies. Overall, this response has left many, particularly in the corporate world, feeling dissatisfied with the government. Unfortunately, this dissatisfaction in the corporate world has damaged the government’s ability to address cybercrime in the private sector. For instance, although private industry has spent in upwards of 300 billion dollars to fight hackers, only one third of companies report cybercrimes to the government. This may suggest that the companies think they can solve the problem better than the government can. It bears mentioning that this problem is not unique the United States. The United Kingdom, for instance, has suffered similar problems. Indeed, in the UK, banks are more likely to simply reimburse most victims of cybercrime than they are to report it to the government. Professor Brenner has presented an interesting and plausible solution. She has recognized that the Internet itself is community-based and is laterally networked. Accordingly, it is difficult to address the problems raised by cybercrime using a vertically networked system. The government should encourage and facilitate civilian participation in the fight against cybercrime. The government should recognize that it alone cannot solve this problem. Cybercrime is a solution that takes more than government to solve; it takes a government and its citizens. While the United States partial government shutdown created widespread uncertainty for federal employees and the monetary system, some are worried that the shutdown may cause the FDA to miss its self-imposed October 31, 2013 deadline for releasing the highly anticipated e-cigarette regulations. The FDA has already failed to meet its initial, self-imposed deadline of April 2013. While there are clearly no penalties for missing a self-imposed deadline, there are increasing external pressures that may force the FDA into action before the agency has a full grasp of the issues surrounding e-cigarettes. It is estimated that e-cigarette sales in the U.S. will reach $1.7 Billion this year. E-cigarette use by students in middle and high school more than doubled from 2011 to 2012, according to the Centers for Disease Control and Prevention. They have become so popular that the use of the e-cigarette product has been coined, “vaping“. While the FDA regulates e-cigarettes that are marketed for therapeutic purposes, it has made clear that it intends to treat e-cigarettes as a “tobacco product”, and establish regulatory control over the entire industry. However, by seemingly having this plan for years, the question arises of why the agency is on the brink of missing another deadline. The practical, and probable, answer is that the agency has no idea how to approach (or regulate) e-cigarettes. Earlier this month the European Parliament took a “permissive approach” to e-cigarettes by shooting down proposals that called for strict regulation. European law makers seem to be influenced by the potential of e-cigarettes to be a healthy alternative to smoking, and are likely hesitant to place constraints on an industry that offers immense potential benefit to public health. While the U.S. may benefit from taking the same approach, many think that the e-cigarettes are making nicotine addiction worse among youth, and there seems to be added pressure on the FDA to tightly regulate the industry. Just last month, Attorneys General from 41 states urged the FDA to issue the promised regulations, and there have been months of talks over a possible ban of online e-cigarette sales. However, the Obama Administration has just recently announced a significant funding program to operate 14 research centers focused on regulatory policy over tobacco products, and the FDA has expressly stated that more research is needed in regards to e-cigarettes. There is no doubt that the public health impacts of e-cigarettes are not fully understood, and while this may not be a good enough reason to hold off strict regulation, the FDA may simply not know enough to effectively regulate the industry. Although continually missing deadlines, and gaining a better understanding, may lead to better regulation in the long run, the external pressures facing the FDA will not allow it to put off the regulations for much longer. Synthetic biology is to biology what androids are to humans. Synthetic biology allows moving beyond the evolutionary constraints of life as we know it. Instead of being restricted to using or repurposing cellular genetic machinery, we can now shape our own genetic tools from the ground up. Instead of merely discovering genes, we can now fabricate genes and synthesize a genome, by restructuring the architecture of life itself. Research institutions and corporations who have been at the forefront of synthetic biology have taken different approaches to protecting IP. Some institutions have taken up the mantle of promoting open source synthetic biology, having being inspired by the parallel open source software movement. On the other hand, corporations have largely played close to their chest, and have adopted the traditional practices of protecting their innovation through patents, copyrights, and trademarks. A recent MJLST article by Professor Andrew Torrance (Synthesizing Law for Synthetic Biology, Issue 11.2 of the Minnesota Journal of Law, Science & Technology) examines the challenges posed by intellectual property rights to the openness of the brave new world of synthetic biology. Open-Source Biotechnology: Failed to Take Root or Waiting in the Wings? Biotechnology encompasses a wide range of cutting-edge fields, from the genetic modification of agricultural crops and energy producing bacteria, to immunology and medical device manufacturing. Rapid innovation in these areas has led to today’s most challenging ethical issues. One such concern is the fear that profits, rather than providing incentives for innovation, will slow down innovation by restricting the dissemination of new technologies, processes, and insights. In Volume 6, Issue 1 of the Minnesota Journal of Law, Science, & Technology, Robin Feldman outlined the problems an open-source biotechnology movement, one similar to the open-source computer programming world, faces in patent law, and ways that movement could navigate those complexities and potentially enhance the common good. Feldman discussed the work of molecular biologist, Richard Jefferson, founder of Cambia and BioForge, who sought to democratize the field of plant genetics. The failure of those efforts was detailed by Sam Finegold in “The Hard Path to Open Source Bioinnovation.” Jefferson claimed that the financial incentives available to researchers were no match for an industry that had become dominated by a small handful of industrial chemical companies. So, is there a future for open-source biotechnology? While it would seem that the pharmaceutical industry would present similar challenges to the open-source biotech movement, Connie Wong posits that open-source may be exactly what the pharmaceutical industry needs in the face of shrinking R&D budgets. She argues that small, lean players can fully utilize their competitive advantage and still protect their work by using open-source arrangements that create a fair-playing field that allows them to operate nimbly. Perhaps the Affordable Care Act may transform the pharmaceutical industry in a way that creates room for open-source innovations? But perhaps open-source biotechnology’s real promise can be found in the work of Matthew Todd, who sought to bring the power of open-source to a neglected disease, flatworm infections. The World Health Organization documented the amazingly quick success Todd had finding more cost-effective methods of producing praziquantel, the preferred method of treating flatworm. While recognizing that the task far exceeded his abilities by himself, by tapping into not only researchers, but pharmaceutical and chemical companies, he found not one but two new methods of producing the drug! This appears to be the perfect example of the promise of open-source biotechnology. The profit motive focused attention on other diseases, restricting innovation until an open-source community sprung up. While open-source may not be the future of biotechnology innovation, it may end up playing a large role in a transformed pharmaceutical industry. On June 13, a unanimous decision by the Supreme Court ruled that, “a naturally occurring DNA segment is a product of nature and not patent eligible merely because it has been isolated, but complementary DNA is patent eligible because it is not naturally occurring.” The ruling, authored by Justice Thomas, was issued in Association for Molecular Pathology v. Myriad Genetics, a landmark case bringing an end to the practice of patenting isolated parts of the human genome as they originally exist. The defendants, Myriad Genetics, discovered and then patented the location, sequence and mutations of BRCA1 and BRCA2. Both genes are highly associated with a risk of breast and ovarian cancers. If Myriad’s patent claims were found valid, Myriad would have gained the exclusive right to isolate an individual’s BRCA genes–a necessary step in conducting diagnostic testing for the cancers. The Plaintiffs, represented by the American Civil Liberties Union and the Public Patent Foundation, consist of a coalition of patients and researchers from University of Pennsylvania, New York University, Columbia, Yale and Emory. Plaintiffs claimed that Myriad’s patent monopoly was invalid under 35 U.S.C. § 101 and that patents on isolated natural genetic sequences would restrict medical research, limiting progress. From a patient’s perspective, such exclusive patent rights would make getting a second opinion regarding genetic predisposition almost impossible. Additionally, exclusivity would keep the cost of testing BRCA 1 and 2 higher through the absence of competitive pricing. Other case outcomes, Mayo v. Prometheus and In re Bilski have determined most diagnostic claims are not patentable. Now that the Court has determined natural isolated genetic sequences are also not patentable, Myriad’s business model, an enterprise predicated on exclusive administration of the BRCAnalysis test to diagnose breast and ovarian cancers, will be difficult to sustain. Biotechnology businesses driven by research and development and investors may face less of an incentive to innovate, which could mean fewer diagnostic tests available on the market. However, multilateral ownership of such natural phenomena could possibly drive more tests to market at lower prices and provide for more accuracy due to alternate testing options. Time will tell us the precise effect this ruling will have on patients, but for now the road beyond the Myriad decision remains unclear. The fact that many Americans are obese is hardly news. Obesity in America has been a source of news reports, social commentaries and literature for well over a decade. In her book review of “The Omnivore’s Dilemma: A Natural History of Four Meals” by Michael Pollan, published in Issue 8.1 of the Minnesota Journal of Law, Science & Technology, Morgan Holcomb discusses how obesity rates in America were part of Pollan’s motivation to write “The Omnivore’s Dilemma.” More recently, American obesity has been described as an epidemic, and the health risks associated with obesity are gradually becoming common knowledge. Obesity is even compared, by some, to smoking and alcoholism. A recent LawSci blog post, “Is Food the New Tobacco: Science, Advertising, and the War against Obesity?” looks at Roseann Termini’s article, “Food Advertising and Childhood Obesity: A Call for Action for Proactive Solutions,” and draws parallels between the role of advertising in the rise of cigarette addiction and the current obesity epidemic. A question that is overlooked in this dialogue is whether obesity is, in fact, a disease. Whether obesity is considered a disease has real consequences including altering social stigmas, increasing funds allocated for research and expanding treatment accessibility. The debate over whether obesity should be considered a disease is not new. However, new life has been breathed into the debate following the American Medical Association’s (AMA) official recognition of obesity as a disease. The New York Times quoted Dr. Harris, a member of the AMA’s board, as stating that “[r]ecognizing obesity as a disease will help change the way the medical community tackles this complex issue that affects approximately one in three Americans.” A recent Forbes article, “Declaring Obesity a Disease: the Good, the Bad, the Ugly,” provides a closer look at how the AMA reached its decision. In reaching the conclusion that obesity is a disease, the AMA overruled its own council’s recommendation. The AMA’s Council on Science and Public Health (Counsel on Science) had been tasked with studying this issue over the past year. The Council on Science’s recommendation against categorizing obesity as a disease rested, in part, on the concern that body mass index (BMI) is a simplistic and inaccurate tool; BMI is the tool generally used to define obesity. The Council on Science was also concerned that recognizing obesity as a disease might increase reliance on drugs and procedures and decrease the emphasis on lifestyle changes. From a legal perspective, this classification raises interesting questions regarding future interpretation of Congressional intent when “disease” is used without a specific definition. While only time will be able to tell the actual effects of this classification, this is certainly a “must watch” area for health law attorneys. 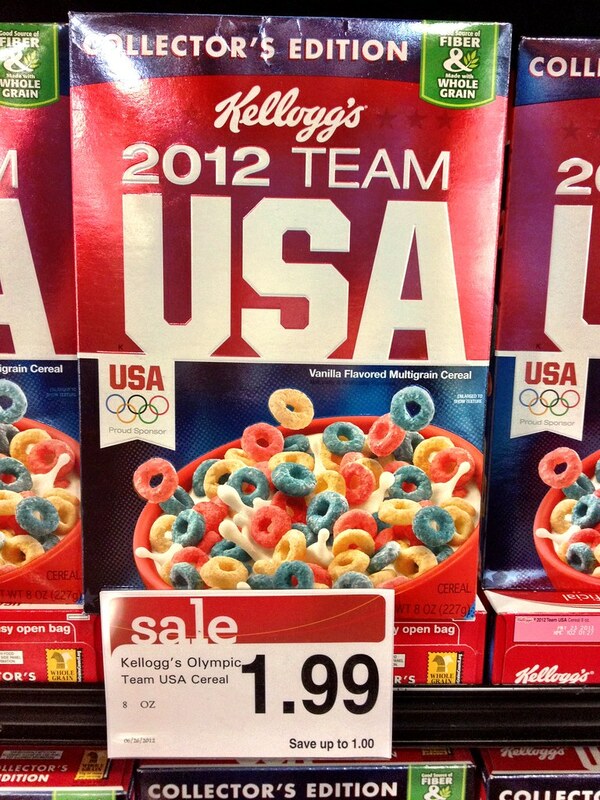 Countdown Sochi ’14: Will the USOC Avoid Repeat of Ravelry Stitch? Next month, the United States Olympic Committee (USOC) will launch its “Road to Sochi Tour” to count down the final 100 days leading up to the 2014 Winter Olympics. As the games draw near, we are likely to see a rapid increase in the amount of Olympic advertisements and related promotions. From cereal box covers to credit card commercials narrated by Morgan Freeman, materials will flood the market for the weeks leading up to the competition, to the point where one cannot help but get caught up in “Olympic Fever“. The Olympics bring the joy of cheering on our fellow countrymen (and countrywomen) regardless of whether we have ever heard of them or their sport, let alone watched on television before the Games. Though American athletes put in countless hours of commitment in preparation to represent our country, all of it would be for naught without the efforts of the USOC. Formed in 1894, the USOC is driven by its mission to support U.S. Olympic and Paralympic competitive excellence while exhibiting the values of the Olympic Movement. The key element of this responsibility is generating and allocating revenue. Though the USOC is federally sanctioned under the Ted Stevens Olympic and Amateur Sports Act (ASA), the non-profit corporation does not receive federal financial support. For this reason, the USOC relies heavily on sponsorships to fund its programs. Due to the importance of sponsorships, the USOC has a major incentive to maintain its positive brand along with the reputation of the Olympics as a whole. For this reason, the ASA also grants the USOC exclusive rights to use a number of words and marks in a commercial or athletic context, including the name “United States Olympic Committee,” the International Olympic Committee symbol (consisting of 5 interlocking rings), and the words “Olympic,” and “Olympiad.” Congress has even granted enhanced protections and enforcement powers to the USOC in some circumstances. As part of these rights, the USOC can authorize the use of the protected words and marks by sponsors as well as bring legal action against violators under the Lanham Act. The rationale is that the more control over Olympic intellectual property the USOC holds, the further it can maintain and promote its good name. This, in turn, makes the exclusive right to use Olympic words and marks more valuable to sponsors, which generates more capital that can be used for the U.S. Olympic program. The scope of the exclusive rights under the ASA has often been a source of controversy, however. Though many alleged infringers discontinue their use upon the receipt of a USOC-issued cease and desist letter, a number of disputes have been brought to court to challenge the scope of the USOC’s protection and enforcement rights under the ASA. Author Marcella David discusses one case in particular in Trademark Unraveled: The U.S. Olympic Committee Versus Knitters of the World (Minnesota Journal of Law, Science & Technology, Vol. 14.2), involving alleged infringement by Ravelry.com in its use of the word “Ravelympics.” Rather than sending a conventional cease and desist letter, the USOC informed Ravelry.com that their use was not only infringing on the USOC’s trademarks, but that their use tends to “denigrate the true nature of the Olympic Games.” Instead of convincing Ravelry.com to switch the name of its event, the letter sparked outrage throughout the online community. Ironically, in an attempt to protect its reputation, the USOC managed to do the exact opposite shortly before the Olympics were set to begin. In her article, David assesses the USOC’s claims of infringement against Ravelry.com while noting areas in need of improvement in the current legal framework of trademark infringement enforcement. As intellectual property infringement becomes increasingly difficult to prevent and enforce against in the age of the Internet, owners need to be creative and proactive to limit unauthorized use. In regards to the USOC, this means not going too far in enforcing rights, however. So until there is more clarity as to the extent of the USOC’s protection under the ASA, we may be in store for a repeat of the Ravelry fiasco in the coming months. Let the countdown begin!